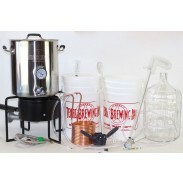 Deluxe Beer Making Equipment Kit : Texas Brewing Inc.
Our Deluxe Equipment Kit has just about everything a beginning brewer needs! 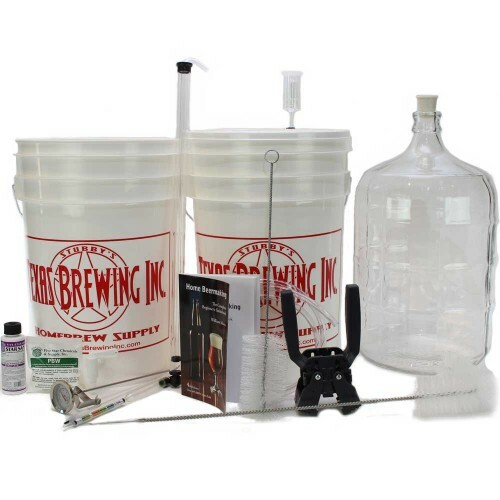 If you’re ready to get started with a more sophisticated kit that contains more tools than our TBI Basic Equipment Kit for a great price, then you have a choice between our TBI Deluxe Equipment Kit with a Better Bottle plastic carboy secondary fermenter or our TBI Deluxe Equipment Kit with a glass carboy secondary fermenter. Both of these kits contain the basic components you need along with added extras to improve your overall process and experience! 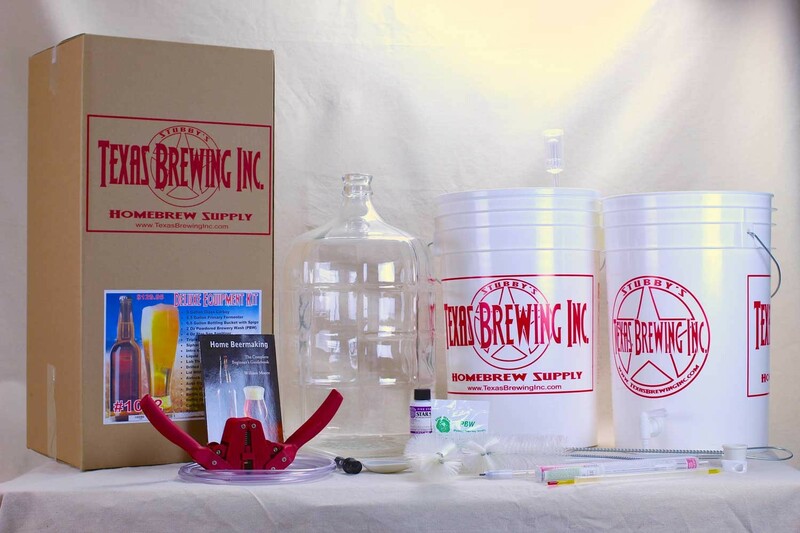 You only have to choose whether you want plastic or glass for your secondary fermentations and clarification. 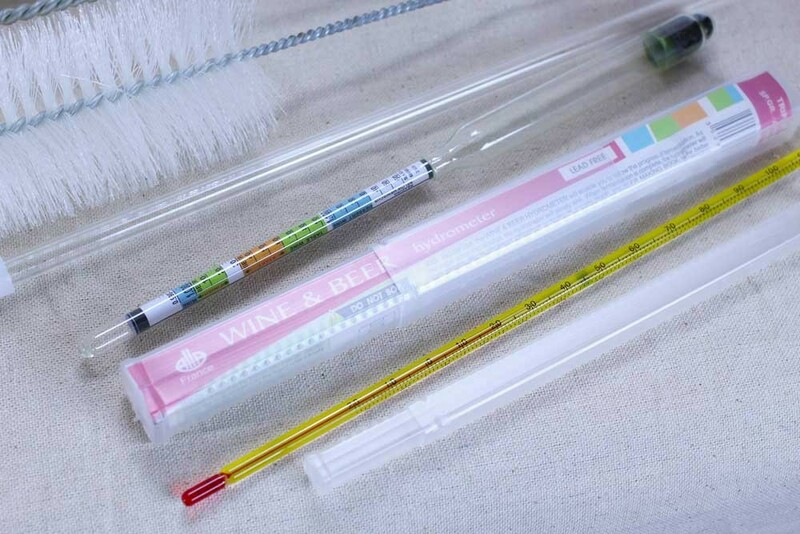 Customers who bought this kit love how “pretty” glass is, that it’s easier to clean, and that it’s less oxygen permeable than plastic. 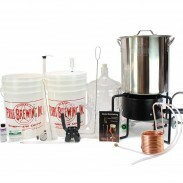 Just grab a pot, ingredients, bottles, and caps and you’ll be ready to make great beer! 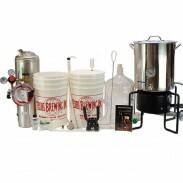 We made a point to include all the high-quality tools you need at the price you need them. 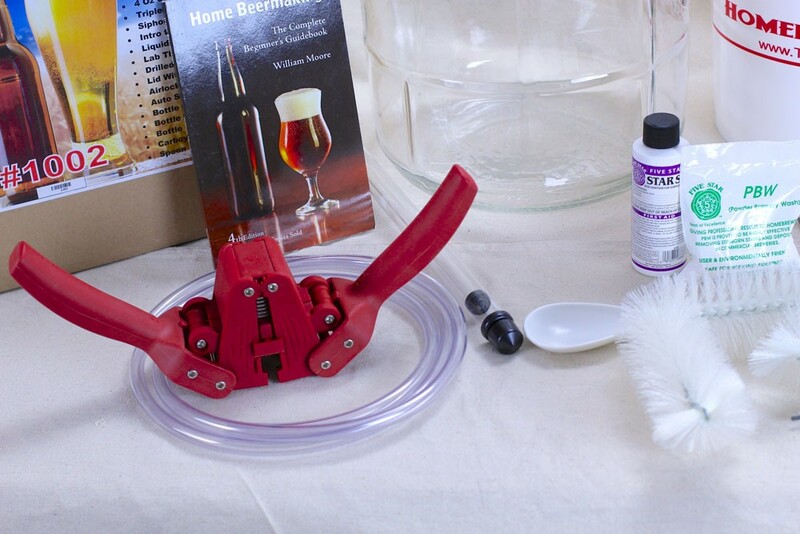 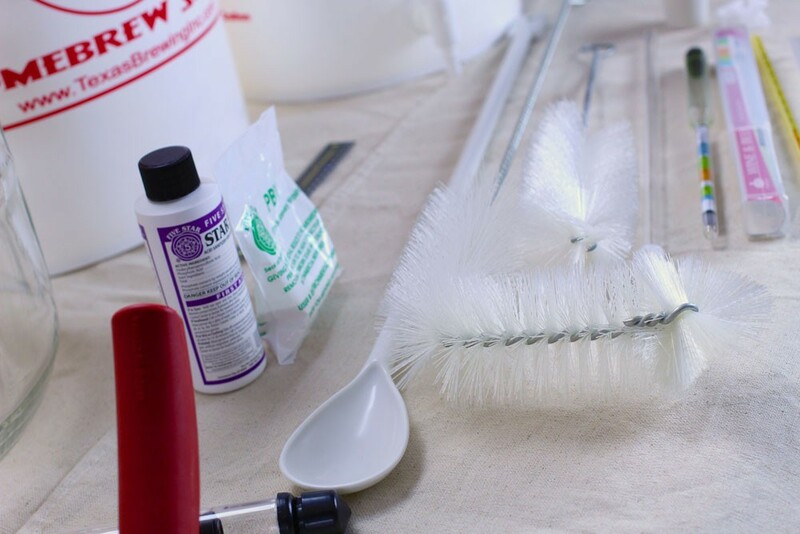 This includes an auto-siphon instead of a simple racking cane to make transfers faster, cleaner, and easier, a return-spring capper that won’t break your bottles, and separated industry standard cleaner and sanitizer products! 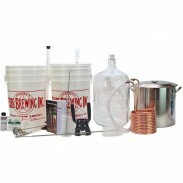 The TBI Deluxe Equipment Kit includes the following tools: 6.5 Gal Primary Fermenter with Grommeted Lid, 6.5 Gal Bottling Bucket with Spigot, 5 Gal Glass Carboy for Secondary Fermentations and Clarification, "Home Beermaking" Book, PBW, Star-San, Triple Scale Hydrometer, Drilled Rubber Stopper for Your Carboy, Liquid Crystal Thermometer, Lab Thermometer, Siphon Hose, Brew Paddle, Airlock, Twin-Lever Capper, Fermtech Auto Siphon, Bottle Filler, Bottle Brush, and Equipment Instructions. 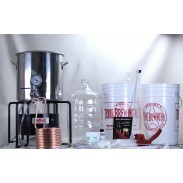 Be sure to check out our Intro to Brewing Video to see how easy it is to get started!